Great turnout for the first day. More folks are already booked for next week’s workshops. 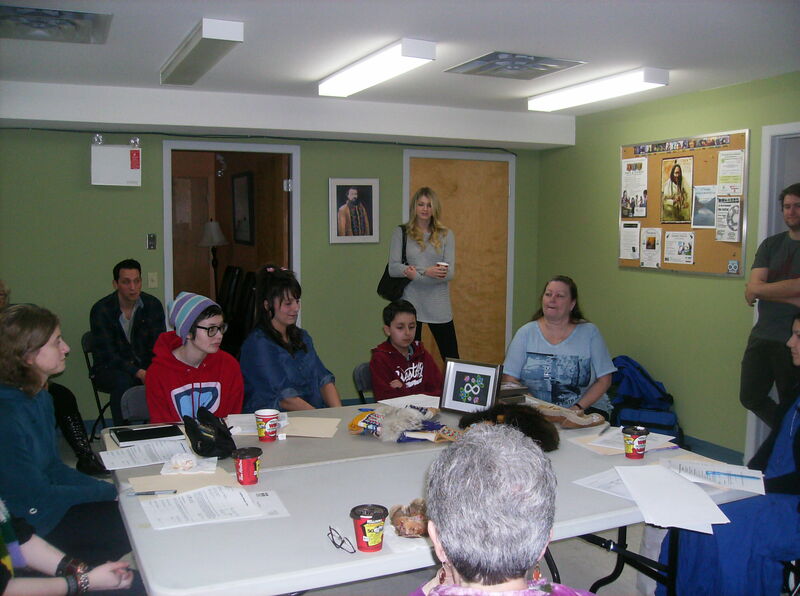 About 30 members of the Kelowna Metis Association community showed up for the orientation at 10AM on Saturday February 14th. Senator Penner and Daniel Pitman, our Regional Director, opened the project with greetings from the Metis Nation British Columbia. Daniel provided muffins that went well with the big jug of Timmy’s coffee. Daniel gave us some history about the culture and tradition of the flower beadwork people and the importance of the leatherwork both as decoration and practicality. We appreciate having such dedicated leaders in the Valley. Thanks to the volunteers for doing such a wonderful job getting things organized. Brittany was put to work making and handing out registration packages the moment she walked in the door. 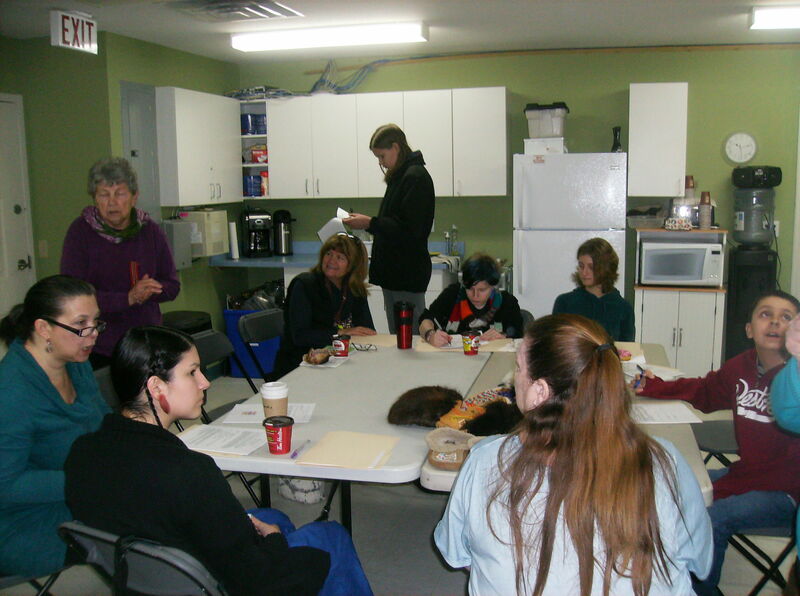 Lana, Maureen and Carol, the KMA Board members, were marvelous hostesses and our Board volunteer Brenda really came through as she helped folks fill out their forms and provided her usual “let’s get this done” positive attitude. Thank you ladies !! Senator Penner and Amy Malboeuf led the leather work portion. 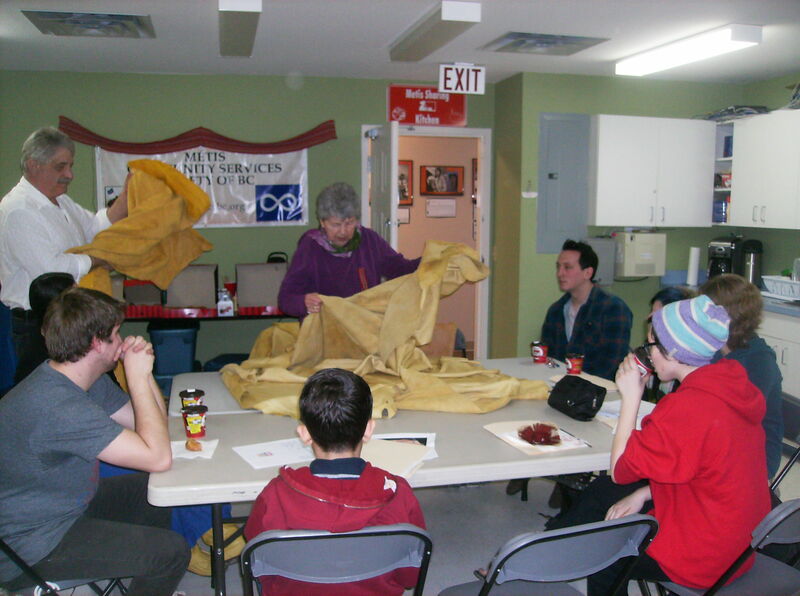 Senator Penner explained leather basics, what to look for in a hide, the stretch and imperfections. Then she helped measure the participants for the vests they would be making. 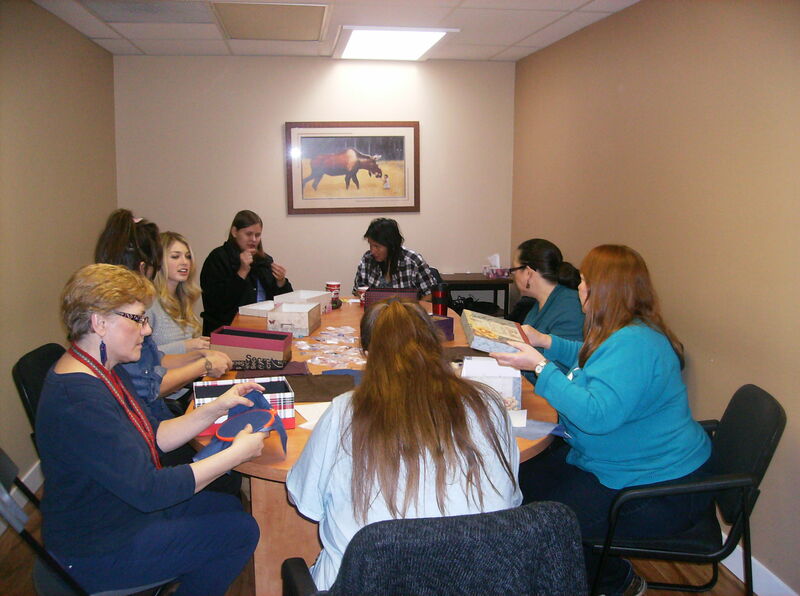 Amy displayed some of the wonderful moccasins and pouches she made and decorated with the most intricate beadwork. Amy is in the Fine Arts course at UBCO and we are fortunate to have her assisting with our projects. The leather workers are a buzz with thoughts for their projects and are already planning their next articles. Linda and Kristen led the beading project and judging from the excitement and discussion generated in their room, they were having an stimulating time. Special mention to Linda who not only drove down from Vernon on a last minute request but also assisted in the beading instruction. As if that wasn’t enough, she is preparing to open her own beading/craft store in Vernon right away so we are really fortunate to have her share her skills at such a stressful time. We wish you “good fortune “ with your venture Linda. The parents and guardians were caught up in the fun and grabbed spots at the tables to try their hands at beading. I can see some fierce competition developing during the project as they play with designs and colours. Thanks to Kelly at Metis Family Services for sharing their facilities for our project. And, no Kelly we are not making a vest for you. But if you can make it to the workshops, we might show you how to make your own. Our two hour time slot went by too fast and we are planning to extend the workshops to three hours. The KMA Board is really excited about the turnout, the intensity generated and most of all for the sense of community everyone is experiencing. Just a brief update from my perspective. I am looking forward to next week when we have the presentation on entrepreneurship and leadership from All Nations Trust, more bead work and vest pattern making . You guys are doing a tremendous job for our youth and thanks again to everyone.